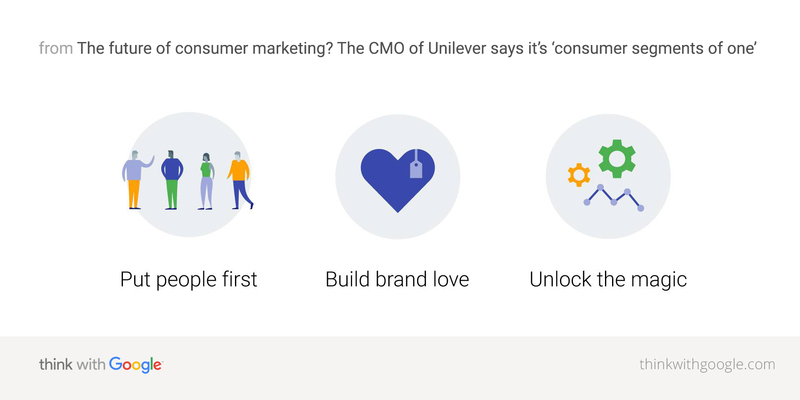 Think with Google’s Guest Editor, Unilever’s Chief Marketing and Communications Officer Keith Weed, shares his perspective on the shift from mass marketing to mass customization and how brands will adapt. The connected world and the ubiquity of technology have rewritten the rules of building brands, innovation, media, creativity, and retail forever. While the internet served as the enabler for this transformation, the real driver has undoubtedly been the mobile phone. Mobile is unlocking consumer control, empowerment, and choice to an extent we have never seen before, driving a hyper-segmentation revolution. As we move from mass marketing to massive customization—from focusing on averages to individuals—I believe that in the future we will build brands in segments of one. For marketers who have traditionally created and marketed brands to the dominant majority—the largest segment—this means thinking about marketing very differently than in the past. Today’s hyper-empowered, tech-augmented consumers are increasingly in control of the branded messages they receive and how they shop for brands. As micro-moment behavior—where people instinctively turn to their device to act upon a need—becomes the norm, consumers’ expectations of value, convenience, and immediacy of response from brands are becoming increasingly demanding. Search is absolutely central here, acting as the filter that enables the empowered consumer to get what they want, when they want, wherever they want. People—myself included—can’t remember what it was like not to be able to do things before their mobile was in their pocket. For brands to be allowed a part in the hyper-empowered consumer’s life, they have to be able to both anticipate and assist with their needs. 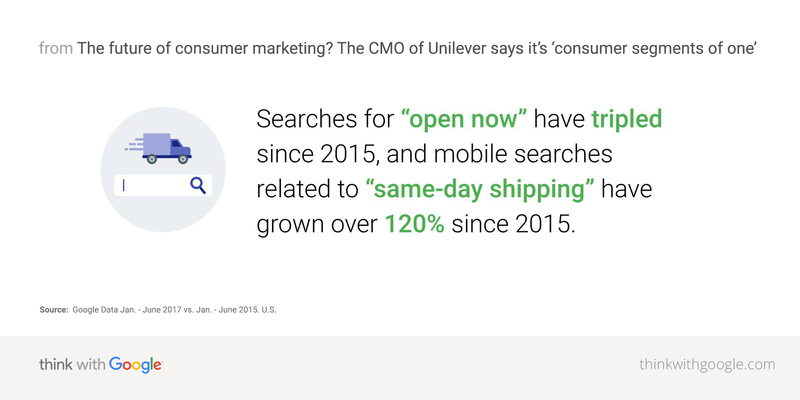 This means being relevant, tailored, and personal—a huge shift from when brands (especially CPG businesses like Unilever) tended to be built for the masses. And they need to do it all in real time, in context, in the language. There is a huge opportunity here for brands to help simplify lives in this complex world—to make massive choice digestible. Just think about how long it takes you to shop in a foreign supermarket where you don’t know the brands. Similarly, brands can help simplify the online world of seemingly neverending content to help organize people’s experiences in a connected world. See three campaigns built for the empowered consumer according to the CMO of Unilever.